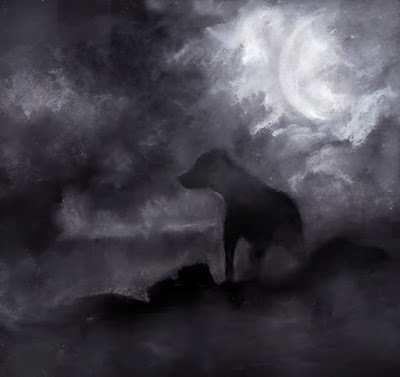 "The Hound of the Baskervilles II" by MsGolightly via Deviantart. Hello book bloggers, and welcome to Sherlock Month! For the next four weeks Book Bloggers International is bringing you guest posts that are all Sherlock, all the time. We hope you enjoy! The Hound of the Baskervilles is arguably the most famous of Arthur Conan Doyle's Sherlock Holmes novels. But did you know there's a real-life mystery surrounding the book that's like something out of the case files of the great detective himself? Anachronist from Portable Pieces of Thoughts is here to tell us all about this bizarre tale of death and possible conspiracy in Devon. Imagine you are a fairly acclaimed writer who has managed to create a great fictional character plenty of people admire. Still nothing lasts forever and the writer’s block hasn’t been invented yesterday. You’ve somehow run out of ideas, killed your character off in a huff and now you realize people want more and more brilliant stories from you. About him and with him of course. Can you revive Sherlock Holmes after a kind of hiatus lasting eight long years and make it a successful comeback? Meanwhile your life seems to go to the dogs as well. You’ve just returned from a short stint as a field doctor in the Second Boer War. It wasn’t pleasant. You’ve chronicled your experiences in a controversial book which was criticized by the military establishment, your former employer. You’ve been narrowly defeated in your bid for a seat in Parliament and along with that came financial difficulties. You are a married man but your wife has been an invalid for some time and is clearly dying. People start gossiping about you and a younger woman of your acquaintance. What could be done to turn their attention the other way? A new successful story would do the trick nicely, right? Still it is not easy to think of a good idea, worth of nobody else but Sherlock Holmes and his faithful sidekick, Dr Watson. Still what friends are for? Doyle was lucky to meet and befriend Bertram Fletcher Robinson, a 30-year-old journalist working for Daily Express and that man proved to be simply godsend. He told Doyle the legend of Richard Cabell which became the fundamental inspiration for the Baskerville tale of a hellish hound and a cursed country squire. Richard Cabell could be called only a barbarian and a rogue. 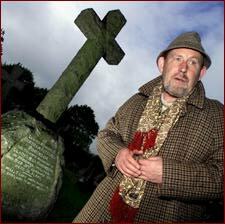 He lived mainly for hunting and was what in those days was described as a 'monstrously evil man'. That reputation was gained for, amongst other things, immorality and having sold his soul to the Devil (I do hope Devil paid him well). There was also a rumour that he had murdered his wife. On 5 July 1677, he died and the night of his interment people saw a phantom pack of hounds come baying across the moor to howl at his tomb. From that night on, he could be found leading the phantom pack across the moor, usually on the anniversary of his death. If the pack were not out hunting, they could be found running around his grave howling and shrieking. In an attempt to lay the soul to rest, the villagers built a large building around the tomb, and to be doubly sure a huge slab was placed at the entrance so nothing – neither a devil nor a hound – could escape. Still was the evil squire really haunting his subjects or was it just a figment of their imagination? A nice charade, something right up the valley of the famous detective who used to say: "When you have eliminated the impossible, whatever remains, however improbable, must be the truth." The truth was such that both gentlemen decided to cooperate and in early March, 1901, Doyle wrote to the editor of The Strand, offering the magazine a "real creeper" of a story, with one stipulation: "I must do it with my friend Fletcher Robinson [who] gave me the central idea and the local colour." Doyle wanted fifty pounds per thousand words for this joint effort, and when The Strand said yes, he and Robinson went off to Dartmoor together to tour the moors, soak up some of that "local color," and write the story. Nowadays it seems to be impossible to determine the precise extent of Robinson's role, but in all probability he merely acted as a 'creative trigger'. Once the element of Sherlock Holmes was added to the original idea, the novel evolved beyond the joint project that was originally posited. Robinson himself conceded that his part in the collaboration was restricted to that of an 'assistant plot producer'. Still some people didn’t believe his words. Why? 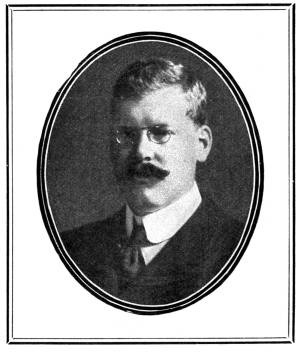 Rodger Garrick-Steele. Photo credited to Marc Hill. Rodger Garrick-Steele, a former psychologist, has come up with the startling theory, based on letters, research into wills and death certificates and a certain amount of circumstantial evidence. At the core of his theory, he claims that The Hound of the Baskervilles was actually written by Bertram Robinson, who died mysteriously at the age of 36. 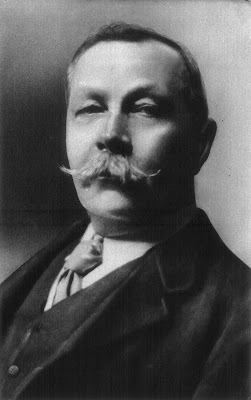 According to Garrick-Steele, Arthur Conan Doyle stole The Hound of the Baskervilles and then poisoned the true author, colluding with his wife, Gladys, with whom he was supposed to have a passionate affair. The accusations were presented in a 446-page manuscript entitled The House of the Baskervilles, after 11 years of thorough investigation. Garrick- Steele was so persuasive that his claim has even aroused the interest of Scotland Yard, imagine that. Mr Garrick-Steele's own detective work began in 1989 when he moved into Park Hill House in the Devon village of Ipplepen on the edge of Dartmoor, the setting for The Hound of the Baskervilles. It was also the place where Bertram Fletcher Robinson was buried beside his parents at a cemetery near the St. Andrew’s Church. The official cause of his death is recorded as 'enteric fever (3 weeks) and peritonitis (24 hours)'. Others with a bent for the occult bizarrely attributed his death to a curse linked with an Egyptian artifact called the Unlucky Mummy (very Victorian don’t you think? I would love to hear more about it!). Garrick-Steele decided that it was poison which shortened the life of the co-author of one of the most popular Sherlock Holmes stories, and that popularity exactly was the real motive of the crime. Let’s face it, the book was a huge bestseller, resulting in an offer of over $4,000 a story for the American rights to more Holmes-and-Watson tales. In addition, The Strand agreed to pay a hundred pounds per thousand words for the English rights to the same material. Say what you might, the time that Conan Doyle spent on Dartmoor was a good investment, and he owed an enormous debt to the man who took him there, Bertram Fletcher Robinson. Did he repay it with a murder? Was he afraid he had inadvertently created himself a literary rival? Was it about Gladys, Robinson’s wife? Unfortunately it seems just a sensational theory nothing else and most probably we’ll never be offered the proof to the contrary. The Exeter Diocese Consistory Court has blocked a bid to exhume the remains of Fletcher-Robinson and test it for traces of poison, branding the theory of Mr. Garrick- Steele as “totally unreliable”. Well, it was indeed a bit convoluted as it implicated the adulterous pair, and relied on a cover-up involving Gladys's brother, the doctor who signed the death certificate, the undertakers and the then-rector of Ipplepen – a bit too many people so save a writer’s career. Still it sounded great didn’t it? Almost like one of the mysteries Sherlock Holmes loved solving in his cocaine-free time. So interesting! Thank you for sharing, Anachronist! Thank you so much for this article! So interesting.